Used BMW 3 Series Review - 1999-2006 Servicing, MPG, Insurance | What Car? What used BMW 3 Series coupe will I get for my budget? How much does it cost to run a BMW 3 Series coupe? You'll pay a reasonable wedge to get hold of one. The oldest, high-mileage 318Ci cars are far cheaper but, even then, the same money will bag you a newer, faster, more stylish-looking coupe from another manufacturer. However, the BMW 3 Series Coupe only loses its value slowly, so you'll reap the dividends when you sell it on. Running costs won't hurt too much. For example, the 318Ci is remarkably cheap to service - some superminis cost more - but the 330Ci will add another 25% or more to your bill. Even then, a 330Ci should work out cheaper than the equivalent Mercedes CLK to service. Insurance is competitive and fuel costs are pretty decent. The 320Ci, 325Ci and 330Ci all fall close to 30mpg on the official combined average, the 318Ci just short of 40mpg. 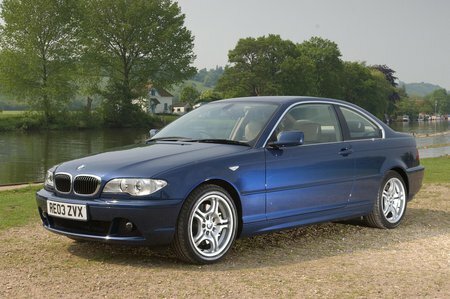 The 330Cd diesel is good for over 40mpg and the 320Cd nudges 50mpg.